We are here to help you staff bikini models, hostesses, greeters and promo models for your Jacksonville events. Do you appear at a trade show or conference in Jacksonville, Florida? Have any need for Hot bikini models or swimsuit models? We have hundreds of promo models for you to choose from. Did you know that hiring professional promotional model staff to support your team on your event day boosts event success and resultant sales? The TSM Modeling Agency will connect you with the most talented Jacksonville trade show models. The staff we connect you with have the looks to get attendees over to your booth, and their presence raises the profile of your brand. They also have the intelligence and personality to talk to attendees about your product, demonstrate products or assist in the process of generating sales and leads. Make sure your booth are product is the center of attention at your next trade show or promo appearance. Are you looking for modeling opportunities in Jacksonville, Florida? If you are a promotional model in the Jacksonville, Florida area, then the TSM Modeling Agency would like to hear from you. We are a nationwide event staffing solutions agency connecting models to promotional events suited to their experience and skills. We make sure clients have successful events and that our models get every opportunity to advance their careers. If you have experience as a trade show model, car show model, brand ambassador, booth model or costume model then the TSM Modeling Agency wants to hear from you, get in touch with us today! Hire Jacksonville promo girls and bikini models. If you want your booth or product to be the center of attention at your next promo event, then Jacksonville trade show models are a cost-effective way to enable you to meet your marketing goals. Our talented and professional staff will support your company by forming street teams, or by working as booth models and brand ambassadors. They will talk to attendees, explain and demonstrate products and assist in generating sales and leads. We also have engaging and attractive bikini models for your beach events and beer and liquor promotions. the TSM Modeling Agency now, and we will provide the staffing solutions for your event. Save on staff travel costs by letting us provide local staff and the extra support you need to make an impact at your next trade show appearance. Hiring promotional staff is the key to getting the results you want from a trade show. Jacksonville is the largest city in the state of Florida in both population and land area. The Greater Jacksonville Metropolitan Area has a population of about 1.3 million people. Jacksonville is a major military and civilian deep-water port, home to two US Navy bases and the Port of Jacksonville – the third largest seaport in Florida. Jacksonville economy is comprised of banking, insurance, and healthcare, more particularly, tourism. Jacksonville operates the largest American urban park system of over 337 locations, covering more than 80,000 acres. Jacksonville Veterans Memorial Arena opened in 2003, seats 16,000 people for performances and sporting events. There are several annual events available to residents and tourists of Jacksonville; the Gate River run, a 15 kilometer road-race, the Gator Bowl, Jacksonville Kingfish Tournament, the Jacksonville Jazz Festival, Springing the Blues Festival, and many more. Some attractions to Jacksonville are the Jacksonville Landing and Jacksonville Riverwalks. Several attractions are located along both riverwalks including the Jacksonville Maritime Museum, Museum of Contemporary Art Jacksonville, and the Jacksonville Museum of Science & History (MOSH). Sports teams based in Jacksonville are the NFL Jaguars, Jacksonville Axmen of a semi-professional Rugby league, Jacksonville Giants Basketball of the American Basketball Association, and more. The PGA Tour organizes and holds The Players Championship annually. Jacksonville attractions are comprised of some of the best parks in America, and all the attractions expected from a major American city. Experience everything from natural scenery to sporting events to cultural attractions all in the year round comfort of Florida weather. While you are in Jacksonville make sure to visit the Museum of Science & History, Jacksonville Zoo, The Florida Theatre, and downtown Jacksonville. 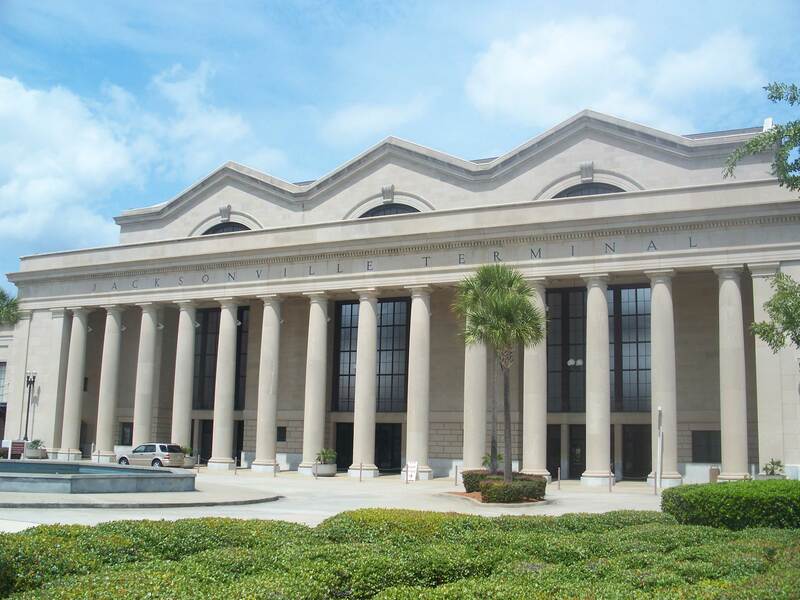 The oldest city in America, St. Augustine, is just a short drive.The largest convention centers in Jacksonville are the Jacksonville Fairground Expo Center and the Prime Osborn Convention Center. Local promotional models and bikini models are available for any Jacksonville event. BECOME A JACKSONVILLE PROMOTIONAL MODEL - SIGN UP!